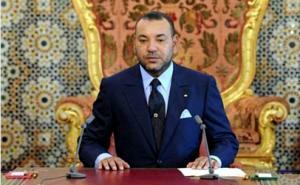 King Mohammed VI opens session of Morocco’s newly empowered Parliament. MACP, MAP, AllAfrica (Rabat, Morocco, Oct. 14, 2012) – HM King Mohammed VI, accompanied by HRH Prince Moulay Rachid and HH Prince Moulay Ismail, chaired, on Friday in Rabat, the opening of the first session of the second legislative year of the ninth term of Morocco’s Parliament. On this occasion, HM the King gave a speech before members of both houses of Parliament. He urged lawmakers to fulfill the promise of democratic change and reform in Morocco’s new Constitution — approved by a large majority of Moroccan voters on July 1, 2011 — with expeditious passage of implementing legislation to bring the new national charter into full force and effect . Promoting the practice and institutions in charge of good governance. It gives me great pleasure to address you at the opening of the first session of Parliament held since last November’s general election. First of all, I should like to congratulate the Members of Parliament on the trust voters have placed in them. It is necessary to keep in mind, in this regard, the vital importance of Parliament in the Kingdom’s current constitutional architecture. Indeed, a radical change in parliamentary practice is required to accompany the amendment of the Constitution and rise to the challenges the current parliamentary session will be faced with. The Moroccan people responded favorably to my initiative concerning the referendum on the new Constitution, a text which was prepared using a comprehensive, participatory approach. Moroccan citizens voted in large numbers, expressing their pride in the progress achieved, their keenness to continue building an institution-based state and their full confidence in the future. Concrete substance has thus been given to institutional renewal, since all constitutional institutions, including Parliament, have undergone significant reform. The election of the new Parliament has coincided with important political, social and cultural developments in Morocco. This has made it possible for the Moroccan society, which is known for its clear-sightedness and self-confidence, to give new impetus to the country’s modernization process and to improve the representation of women and young people. This, in particular, has been a source of immense satisfaction to me, but I still look forward to greater representation. These new developments were made possible by a voluntary constitutional reform which was brought to fruition after a long process. This reform was further consolidated by the election of Parliament, which now has a new status, regulations and powers. In addition to the exceptional position it enjoys today, this constitutional institution has not only become the sole source of legislation, but its scope of competence has also been expanded. It now has extensive powers regarding the passing of a large number of organic laws needed to implement the new Constitution, especially with regard to its most sensitive and strategic provisions. In some cases, and at the King’s discretion, Parliament can amend the Constitution with no need for a referendum. Moreover, the role of the opposition as a full-fledged authority has been enhanced and new means of action have been placed at its disposal, allowing for stronger, more responsible involvement in the work of Parliament. To further strengthen Parliament’s role in scrutinizing the work of the government, parliamentary powers have been reinforced in the Constitution, thus enabling Parliament to assess public policies. This opens up promising prospects for introducing appropriate, timely amendments to programs to make sure they are properly managed and successful. I am sure you realize this major democratic achievement entails new obligations. Its actual implementation on the ground and the fulfillment of its objectives are not possible without further efforts, a keener sense of responsibility, mobilization and selflessness. This means we must do away with obsolete practices and make sure Parliament’s performance is improved. Given the above-mentioned institutional progress, it is up to parliamentarians alone to engage in their own self-criticism. In my capacity as the supreme arbiter and custodian of the nation’s best interests, I urge the Members of the House to show the determination and courage required by the quality of parliamentary practice we wish to have. This would add value to your lofty mission as you seek to fulfill the nation’s expectations and rise to the requirements of the new Constitution. In this regard, we call on Parliament to draft a code of ethics with a legal basis, making sure it promotes civic values, public interest, responsibility, integrity and commitment to full, effective participation in Parliament work. This code must also make sure the legal status and constitutional rights of the opposition are respected. Your ultimate goal should be to ensure Parliament provides a forum for constructive dialogue while serving as a school for political elites. To this end, the appeal and credibility of Parliament should be enhanced to win over whoever might have been disappointed by political action, or whoever questions the usefulness of Parliament in the management of public affairs. Let me remind you, in this respect, that MPs are given their mandate by the nation, and that, regardless of their political affiliation or constituency, they are duty-bound to serve public interest, making sure the nation’s best interests always come first. Moreover, I should like to invite you to promote cooperation between the two Houses of Parliament, using a specific, well-thought-out approach to achieve this objective. I would like you to make permanent, rational dialogue and close, balanced cooperation between the Government and Parliament the very basis of your action, seeing to it that the specific features of the executive and the legislative institutions are fully respected. Parliament now has all the necessary means for parliamentarians to give fresh impetus to its diplomatic and international cooperation agenda. To this end, its partnership relations with other parliaments should be strengthened as this will further enhance our country’s standing in international forums, enabling us to defend our best interests properly, particularly the question of our territorial integrity. Distinguished Members of Parliament, you have the honor of ushering in a new, historical era. There is no doubt in my mind that you realize the responsibility you have to shoulder as a ground-breaking parliamentary session opens. You can, indeed, make it one the most creative, productive sessions. As regards the reform of territorial organization, which is a key sector, the legal and organizational conditions required for the setting up of the House of Councilors in its new constitutional format need to be met so that we may implement the advanced regionalization we aspire for in our country. In this regard, I urge you to respect the letter and spirit the Constitution’s provisions on regions and other territorial entities, taking into account the pertinent proposals of the advisory committee on regionalization. With respect to the reform of the judiciary, Parliament should pass the organic laws pertaining to the Higher Council of the Judiciary as well the statutes of judges. Once again, I should like to invite you to comply strictly with constitutional provisions on the independence of the judiciary. I also call upon the higher authority in charge of the dialogue on judicial reform to make the independence of the judiciary the key element of the recommendations it will submit. In the message I delivered in Ajdir, I had the opportunity to define the pillars of our rich, multifarious and open-minded identity, and this was subsequently enshrined in the new Constitution. In this regard, you need to pass the organic laws required to get the National Council for Languages and the Moroccan Culture started, and give concrete substance to the official character of the Amazigh language, avoiding any preconceived or narrow-minded judgments in this respect. I should like to mention the role of the institutions in charge of good governance, some of which were set up and started functioning years ago. As these institutions have reached a degree of maturity and have, as a result, become constitutional bodies, I think the organic laws governing them need to be reviewed and a proper legal framework developed for the new institutions, which should all fulfill the objectives for which they were created, in keeping with the relevant provisions in the Constitution. In conclusion, I should like to stress the tremendous responsibility you have in terms of responding to the expectations of the nation and enhancing public confidence in the parliamentary institution. Moreover, you are expected to set the best example by making public interest prevail over all other considerations, thereby contributing to the consolidation of the Moroccan distinctive model based on democracy and social solidarity. Let us keep in mind that sincerity is the gateway to the greatest achievements, for Almighty God says: “If Allah finds any good in your hearts, He will give you something better”. True is the Word of God.